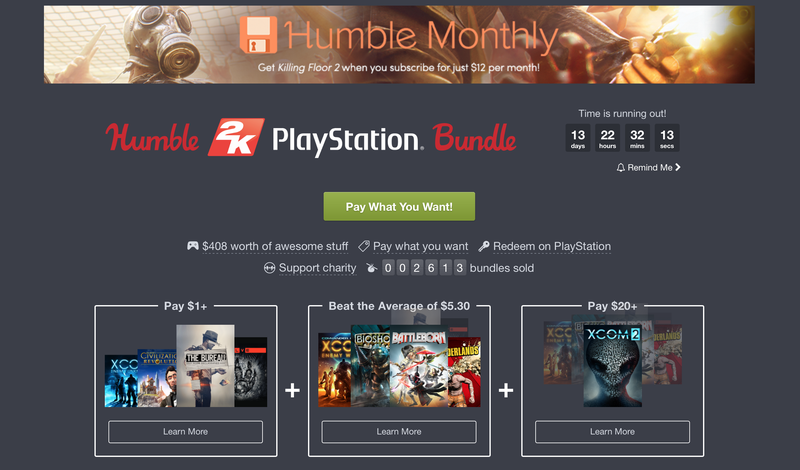 PlayStation owners can finally take advantage of the crazy value Humble offers with this 2K Bundle. Games are redeemable either for the Vita, PS3, or PS4, but the PS4 titles include XCOM 2, Evolve, and $10 of Battleborn Platinum VC. As always, a portion of your purchase goes to charity, and the titles are split among multiple price tiers.